Tip # 7…. You MUST experience a Slava!!!! Prior to visiting Serbia….. if anyone would have asked me what the word SLAVA meant… i would have said ” a slavic woman”. I would have been totally wrong. Serbia is country where 85-90% of the population is Orthodox Christian. They have some very unique traditions and beautiful churches and monasteries spread all over this beautiful country. Slava or Krsna slava is the celebration of the home patron saint. It is one of the greatest characteristics of the national and religious lives of the Serbian people. It is an exclusively Serbian custom and is one of the most important days of the year for most Serbian families. 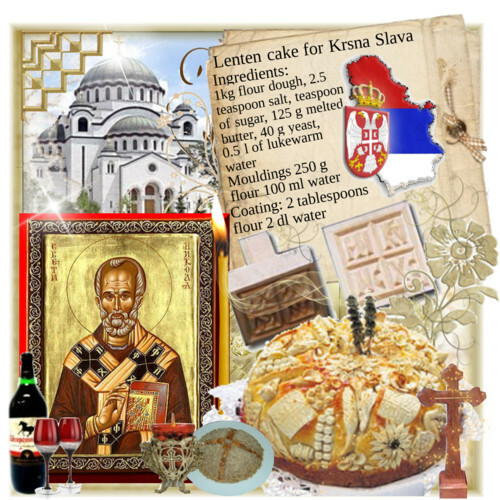 Slava is actually the celebration of the spiritual birthday of the Serbian people. It is based on the day their ancestors first accepted Christianity. Their saint is a “protector of their home”. They pass the saint down from father to son. 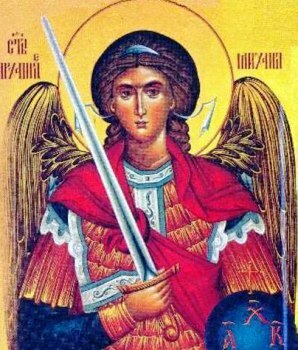 There are many, many saints but some of the most common are “nikoljdan” or Saint Nicholas, “jovanjdan” or Saint John, “djurdjevdan” or Saint George, and St Sava … the slava of Serbian Schools…etc…. there are hundreds of them…..
wheat or “zito” usually grown in a small bowl- represents the death and resurrection of Christ. 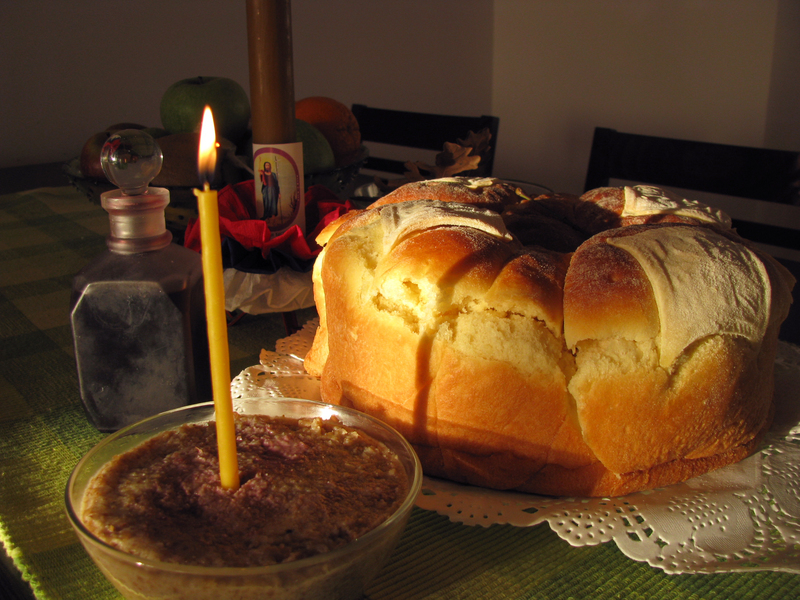 slava bread or cake or “svlaski hlejb ili svlaski kolac”- represents Christ as the bread of life. The first Slava I attended was an amazing and an experience i will never forget. The customary greeting when entering the home is ” cestitamo vam Krsnu Slavu” or “greetings on your patron saints day”…I noticed a bowl of wheat growing on the table and many, many different kinds of food strung about the table. Sarma is one of my favorites. It is soured cabbage rolled up around meat, rice and other ingredients. It is also customary to bring a gift…. exp bottle of wine or flowers.. Don’t eat prior to attending the slava because you will be expected to try everything and that is A LOT!!! We also had live music at my friends home. It is a very unique, special and memorable celebration that you can always treasure! IT IS A MUST WHEN VISITING SERBIA!!!!!! There is a huge difference between celebrating christian saints, and the start of the largest genocide in world history. That`s right GENOCIDE against the native american Indian population of north america. By the protestants and Masons who came to america. There is NO comparing the 2. I suggest you google Slava and learn more about them than just FOOD. I was reading this blog for a while now and I didn’t felt a need to comment. But BeliOraoSrbija made me do it. Don’t be such a judgmental prick. The man just compared the event with the closest thing he knew. You shouldn’t be so extreme in you beliefs. Would get so offended if some one compared Christmas with Eid (bajram)? Sure Ottomans did a terrible things to our people in the past but that doesn’t mean that we should get all high and mighty if some one compares there tradition and ours. That is just low and not in the spirit of Serbian people. We always had many nationalities in our country from the Celtic miners and German Knights in Serbian Empires to do Albanians, Hungarians and others today. Respect others if you want to be respected. And all of this comes from the Atheists as well. Cheers. @Charles great job at what you do. Gives me hope that some people can see pass throw all the prejudges and hate. Keep going. @BeliOraoSrbija If you look at Europes map, how many times has the borders changed? And what do you think happend during these changes? Do you think people was asked kindly to leave? Just look at Balkan, how many times have Serbias borders changed? They killed us for our land and we killed them for theirs. That goes basicly for majority of countrys in the world. Only difference is that America has a huge influence around the world. Spain, England, France, Portugal have killed more people with their colonies than US, only difference is that those countrys arent super powers. If you want spit on US then spit on the 1990 – 2011 foreign politics. Are you from America? It doesn’t sound like you are. You missed the point sorry but your statement holds no merit to this conversation with charle. Charles You say you have cherokee indian in your family, ok you should be highly offended at the mention of thanksgiving. You should not celebrate it at all, do you realize that it is a national day of morning since 1979?. I would not even say thanksgiving and to compare that to something holy is spitting on the spirits of your ancestors. Your point on THanks Giving. Where do you think “Serbian” words like (se below) come from? Yes Turkey. And what no? We should be offended, after all we were under their rule in 500years. Im not dissing you in anyway, but give Charles a break man, no one forced him to move to Serbia and like the things he like. Give hime some creds atleast. If you dont like the guy atleast look at him as a marketing product ffs. Charles has done more for Serbia than most of us who live abroad. I’m gonna try to find the article about the religion of Serbs before the Christianity was enforced upon us, at least most of us, I think you will find it interesting! hey Dejan… yeah.. id love to read it… i am not religious and never have been… thanks for your comment..
i think thar our religon was that Slovenian one right? It is so easy to get dragged into a pointless discussion with stupid people. The only solution is not to get involved at all. BeliOraoSrbija why don’t you take your hostile. angry, crazy and most of all unprovoked comments elsewhere. Charles only tries to paint a picture of Serbia as he sees it. Put yourself in his shoes, he cannot learn everything about slava in a couple of months. I agree with Aleksandar. Charles has only been at ONE Slava. A stranger can’t learn about the tradition of the ENTIRE NATION at one Slava. But he had the best intentions. Can’t you see that he is trying to say something NICE about us?! He made a few mistakes, so what? Haven’t you? I’ve been living in US for eight years, and every day brings a new experience about American culture and people. Since I’ve become the U.S. citizen, I’ve held that it would be important for me to take the American history classes at the college I’m currently attending. Of course, many parts of the history and culture you learn from people. I’ve been to several states, but I still haven’t seen enough. There’s so many things to see and experience. I’m glad that you experienced Serbia in such a positive way. You are one of the rare people who is willing to explore, observe and learn everything about foreign country, whether it’s good or bad. Keep doing doing this amazing work. I’m looking forward to see more of your postings. p.s. For my dear countrymen Serbs, I wish I was as talented as him to write about my experiences in the U.S. The politics, Hollywood, The Big Brother, Jerry Springer Show,etc is not everything you could learn about this country. There is so many good things I’ve learned about its people and its culture. wow… i am very happy to read this… it means so much.. i had to share your comment on my facebook page… thanks for taking the time to write it and i really hope you have a great, exciting and enjoyable life in my country!!! respect to you, my friend! thanks for reading! I’m really happy for you for being able to explore, learn about and accept certain customs as well as our people in general and make the best out of it. I can see from your writing and discussion responses that you are a very good person and that’s basically one of the main reasons why I’m leaving this comment now. Also, I can identify with what you’ve done and what you’re still doing because I too have a desire to travel somewhere else and settle down at least for some time if not permanently. Learn about the culture, meet different people, try to live as they live and so on. But this would be very difficult in my case since that would mean having to move my entire family and start over. I have a wife and two little daughters. I was always interested in Scandinavian countries particularly. I would just like to add that (at least in my humble experience) 3 days of “celebrating” is not really entirely true in most cases. I clearly see the symbolic of the number “3” in Christianity but absolutely none of my friends, relatives and therefore their friends and relatives do not celebrate for the full 3 days. Whenever I hear this, I’m immediately reminded of one of our domestic movies titled “Ivkova Slava”. Watch it if you can, you’ll have a good laugh that’s for sure. I’m not saying that nobody is celebrating for 3 days, I’m just saying that based on my experience which includes a couple of occasions per year and perhaps around 200 – 300 people whom I know personally, probably none of them celebrates this long. Or at least I’ve never heard anyone mentioning so. Financial reasons, time requirements, energy needed etc. I guess the greatest majority of those who celebrate for the full 3 days are located in smaller places, or in other words, villages. Think about the guests as well. It’s not really practical to spend 3 full days at someone’s house right? Even a couple of hours everyday will prove demanding. Especially if you have to go to work or anything else of such nature. If I were you, I would change the line from “most slavas are a 3 day event” into “some families celebrate their Slavas for 3 days”. Although used by many people as simply a title for a certain event, “Slava” actually means glory, praise and fame depending on the context of the sentence and how the word is constructed. Shoot me an email or a facebook message when you have some spare time and I’ll give you more ideas to write about. I’m sure you’ll like some. THERE YOU ARE!!!! 🙂 Thanks for the info!! i would love to hear some suggestions… after awhile its hard to think of what to write…. thanks for the info! No worries buddy I’ll help you out with some ideas along the way. 100% factual stuff.